Today, R.M. 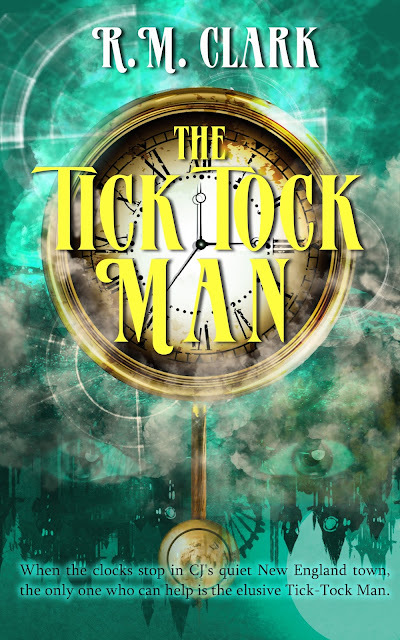 Clark and Month9Books are revealing the cover and first chapter for THE TICK TOCK MAN, which releases May 2, 2017! 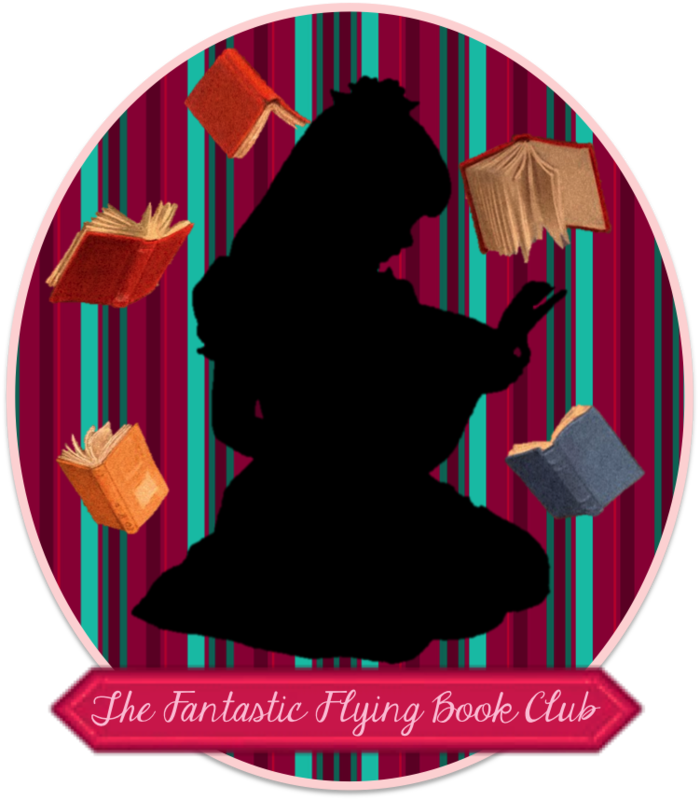 Check out the gorgeous cover and enter to be one of the first readers to receive an eGalley!! The Tick Tock Man is my first foray into the world of speculative fiction. Here in New England, we are fortunate to have many wonderful clocks around. We have clocks in church steeples, parks, above banks and other locations. My idea for this story came from a simple "what if." What if there were a community of "clock people" who kept all these great clocks running? Furthermore, what could go wrong? Then I made something go wrong and the story "clicked." The Tick Tock Man takes place primarily in this fictional clock world, but the issues, conflicts and resolutions are not unlike those in the real world. I’d planned on sleeping in Thanksgiving morning because, hey, it was Thanksgiving, and that meant no school and no stupid alarm to wake me up. Well, that was the plan. At precisely eight a.m., the clock sitting a mere two feet from my head wailed. Stupid clock. That wasn’t even a real alarm sound. It was just an invented strange noise to annoy me. I checked the buttons on top. No alarm set and no radio. Maybe it was a dream? Just to be sure, I gave the clock a good whack. All was well. Back to sleep. I tried to go back to sleep, but I couldn’t help but wonder what crazy not-real-clock noise Uncle Artie’s “special” clock would make next. So I got out of bed. Since it was Thanksgiving, I was not at all surprised to see my mom up and in the kitchen. The turkey was on the counter in a large pan. Her arm was halfway up the turkey’s you-know-what. Not what I wanted to see this early in the morning, thank you very much. “Sure thing, Mom.” I was barely awake and she was already asking me to do math. Nobody was coming over for quite a while, so I wouldn’t need the, let’s see, two-plus-two-plus-one chairs for several hours. I had tons of time. What better way to spend it than on the couch watching TV? It would probably be the most fun I would have all day, with both sets of grandparents coming over. It was annoying enough that they had different titles: “Nana and Papa” on the Barnes side, “Grandma and Grandpa” on the Boyce side. Each clock came with a wonderful story, so my parents loved to get them for just that reason. Unfortunately, both of them hated having all those clocks, with their constant ticking and chiming, so we kept them stashed away in the spare room upstairs until Uncle Artie came to visit. And since he was on his way, I sat up, knowing what was coming next. In three … two … one. “CJ! Your Uncle Artie’s coming over, so you’ll need to set the clocks out.” Mom could sure belt it out when she needed to. I knew the drill. I went to the spare room, pulled the special box out of the closet, and lugged it down the stairs. The crescent moon clock went in the living room, replacing a family portrait, which was fine with me since I looked like a dork in that picture, anyway. There was a special cuckoo clock for the bathroom that was pretty cool. The doors on the upper level opened at the top of the hour, revealing either a boy dancer or girl dancer. I set the correct time and adjusted the weights at the end of a long chain to keep the gears going. Six clocks later, I had completed the task, finishing it off in Dad’s basement shop with a clock made from a circular saw blade. Uncle Artie’s favorite saying was, “You can never have too many clocks.” On this Thanksgiving Day, it was certainly true, even though I was sure my parents would disagree. Not me. Although I never paid a lot of attention to the clocks, I felt something strange as I took each one from the box and hung it in its rightful spot. The crescent moon clock had two huge eyes, one on the crescent side and the other on the orange side that completed the circle. The eyes were painted on but I swear they followed me as I moved around the room. I double-checked the time on the cuckoo clock in the bathroom and admired the details in it. The entire clock was a house from a German village, with people dressed in lederhosen on the lower level. Lucky for me it was the top of the hour and the clock chimed, revealing the bird from a door at the top and children dancing in the two small doors just below it. Why hadn’t I noticed that before? What awesome detail! I completed the clock replacement task, storing the non-clock items in the same box and returning it to the spare bedroom. That practically wore me out, so it was back to the couch. The smell from the great stuff Mom was cooking drifted into the room, reminding me I hadn’t eaten yet. “I made you some scrambled eggs.” Mom smiled as I entered the kitchen. This wasn’t fair, but it was the second time she’d asked. The third time would not be as charmed. On my way to the basement, I realized my early morning math was wrong. There were four chairs already in the dining room, so I only needed four more. I could easily get them all in one trip. I passed Dad’s shop right at 10:30 and the heard the blade clock begin to make noise. I turned on the shop light to get a good look and, sure enough, the blade was slowly turning. Clockwise, not surprisingly. Even stranger was that the numbers never moved as the blade turned. A few seconds later, it stopped and went back to normal. Another clock I had never paid much attention to was suddenly freaking out. I hurried back upstairs with two chairs on each arm. I got my scrambled eggs, finally. At 11:00, things got even weirder. Dad was up by now, sitting in front of his computer, but that wasn’t the weird part. When the hour struck, the crescent moon clock made a strange clicking noise, and those crazy eyes began to wink at me. The painted-on lips between the four and eight went from a Mona Lisa smile to a full-blown grin. I wanted to say something to Mom or Dad, but who would believe me? I went into the bathroom, and the boy and girl dancers in the German village twirled next to each other while the bird stayed home. This was quickly moving into “bizarre” territory. It didn’t help when my watch—another gift from Uncle Artie—started chiming a sound I had never heard before. I took it off and stuffed it in my pocket. Problem solved. I played video games in the back room, trying my best not to look at or listen to any of the suddenly crazy clocks in the house. It was working too, as I finished off another level of Mortal Warfare IV. “Okay. Just one more level.” I sat up as the battle intensified. “I’m on it.” I made it past the gatekeeper to complete the level, which allowed me to save my spot in the game. I grabbed plates and set them out on the table. I took one plate and placed it on the TV tray next to the window. That’s where I would sit. The rule was: adults at the big table and kids somewhere else. Sometimes it was a card table when my cousins showed up. Since I was the only kid this year, I would have to settle for a TV tray. My mom’s cell phone rang, and she talked with the phone squeezed against her shoulder as she mixed something in a large bowl. She stopped mid-mix and put the bowl down. “I’m sorry to hear that.” Her voice was all serious. She walked out of the room before I could hear any more of it. I returned to my table-setting duties, grabbing forks, knives, and napkins. The smell of turkey and all the fixings hit me hard as I placed the silverware around the table. Maybe all this work would be worth it. I took another whiff. Maybe. Mom returned to the kitchen, put the phone down, and stopped stirring. No Nana and Papa Barnes? No Uncle Artie? I truly hoped Uncle Artie was okay, but this was my big chance to sit at the head of the table, something I’ve always wanted to do. The head chair was bigger and had arms, and it felt like a throne. Uncle Artie always got the honors while I was stuck with the TV tray under the window. Neither of them thought about it for too long. “It’s all yours, kid,” Dad said as he leaned on the roof of the van. Manners? Oh, please. Uncle Artie smoked a lot, drank a lot, and sometimes swore a lot. In spite of all that, he was my favorite relative. Over the years, besides the watches and clocks, he had given me several toy cars, baseball cards, stuffed animals, and even a five-dollar bill. These gifts were always “our little secret.” Plus, he told the greatest stories. Grandma and Grandpa Boyce arrived a little later, and each gave me a quick hug. It’s a terrible thing to say, and I know I’m supposed to love my grandparents without question, but Mom’s parents—the “good ones” who actually liked me—weren’t coming. If Mom and Dad ever found out I felt that way, I’d be grounded for a month—Dad’s typical punishment. Dad and Grandpa went to the living room to watch the game while the women got the food prepared. I tried to help, but I mostly got in the way. Everything was ready just before two o’clock, and I grabbed the spot at the head of the table, with Grandma and Grandpa to my right and Mom and Dad to my left. Everyone sat down except Grandpa. He placed his hands on the table and leaned toward my dad. “How’s that, Pop?” Dad said. The Hoffhalder was a large mantle clock that sat in the corner of the dining room on what mom called the buffet. The Hoffhalder had been in the family for decades, and Dad would only wind it on special occasions. Uncle Artie always had the honors when he came over. “I’ll do it, Dad,” I said. I’m right here! I thought. And I’m not a child anymore. I’m thirteen. “Sure he can,” Grandma said. “Now, make Uncle Artie proud.” She gave me her patented don’t-screw-it-up look. “CJ, just be careful, okay?” Dad said. “Sure thing.” I had seen it wound a thousand times. I took the key from the drawer of the small desk nearby, carefully opened the glass in front, and put the key in the keyhole near the number four. There was another near the number eight. I knew it wound clockwise on the right and counterclockwise on the left. “Whatever you do, don’t overwind it,” Grandpa said. He gave anyone who ever got near the clock got the same warning. I started winding. One turn. Two turns. Then it started to get tight, so I stopped. I placed the key in the left hole and began to turn in the other direction with my left hand. One turn. Two turns. It wasn’t getting any tighter. Three turns. That was odd; it usually tightened up by now, but I figured it had just been a while. Four turns and still not tight. I switched to my right hand to finish it up. Five turns. Surely it would start to get tight. Then I heard a faint click, and the key wouldn’t move anymore. Uh-oh. “Everything all right?” Dad asked. I pulled the key out and put it back in the drawer. “Everything’s great.” I looked at my watch, and then spun the Hoffhalder’s minute hand around until the time was five minutes until two. After closing the glass, I gently moved the large pendulum at the bottom, and the Hoffhalder began to tick. Whew! All was well. When the Hoffhalder chimed, it made a beautiful sound. In fact, it seemed to be the only clock sound my family liked. It was a perfect combination of bells and gears and springs working in harmony. We now had three minutes until it would chime on the hour, and everyone at the table waited patiently for the moment to arrive. As the last thirty seconds ticked off, Grandpa nudged Grandma. “Here it comes,” he said in a low voice. The Hoffhalder struck two and began to chime. Once. Then another. But the second chime lingered way too long and the pendulum began to swing wildly, knocking into the side walls. The chime sound turned into a grinding noise, and the pendulum stopped. “He overwound it,” Grandpa said while making a turning motion with hand. “Don’t you think that’s a little harsh?” she said. I looked around the table, and three sets of eyes were on me. Mom reached out and touched my hand. At least someone was on my side. “Sounds like you snapped the mainspring,” Grandpa said, adding a “break in half” motion with his hands. He continued to glare at me as Mom began to serve the turkey. We ate in near silence. 3 winners will receive an eGalley of THE TICK TOCK MAN. International.